To ensure safe operation and service of this meter, follow all instructions. Failure to observe warnings can result in severe injury or death. This meter will NOT display current below 50 milliamperes, even if it is allowing this to pass through. NOTE: The display will show zero current. 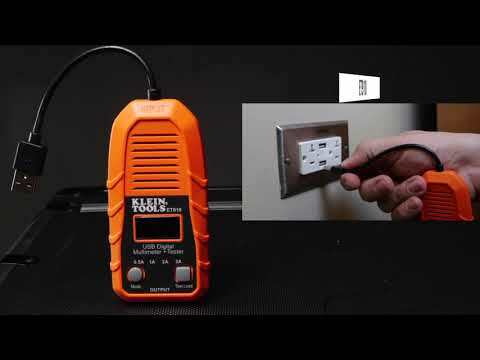 Do NOT use with ports that operate outside of the rated voltage and current. NEVER use on a circuit with voltage or current that exceeds the maximums specified for this device. Do NOT use during electrical storms or in wet weather. Do NOT use if meter appears damaged. Use caution when working with voltages above 25V RMS or 24V DC. Such voltages pose a shock hazard.